Local police discovered the child-trafficking ring this week and are currently questioning the 11 couples. A NUMBER OF Irish men and women are being questioned by Mexican authorities in relation to an apparent child-trafficking ring. Four Mexican women are being held by police who believe they were trying to provide babies to Irish couples who thought they were legitimately adopting them. 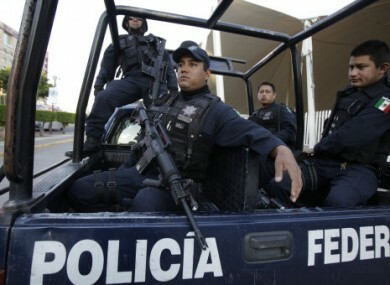 The group of eleven Irish couples are currently answering police questions in the western city of Guadalajara. A spokesperson for the Department of Foreign Affairs told TheJournal.ie that the Irish embassy in Mexico is aware of the reports and is in contact with a representative from the group, as well as the group’s lawyer. A Jalisco state prosecutor told reporters that a 21-year-old woman was arrested after her relative discovered she was “renting out” one of her children. The woman said she was paid to give her child to a group of three women who needed baby pictures for advertising purposes. She claims she thought the practice was legitimate. However, investigators discovered the three women were taking the child – along with several others – to a hotel where the Irish couples were staying. The babies have been taken into State care. Investigators are now trying to figure out if both the Mexican mothers and Irish couples were tricked. Earlier this week, the Adoption Authority of Ireland advised prospective adoptive parents not to enter into any private arrangements with individuals or agencies in order to adopt in Mexico. Email “Irish couples caught up in Mexican adoption scam”. Feedback on “Irish couples caught up in Mexican adoption scam”.